Art prints on canvas contribute an impressive elegance to any decor. Art prints on canvas are more durable than paper prints. At Superchrome, we offer the best quality canvas art prints for you. We can create art prints canvas from fine art reproductions, contemporary art, abstract art, original paintings and digital photos. With state-of-the-art digital printing technology, we offer instant reproduction of your favorite photos and paintings. Superchrome can provide art prints on canvas to fit almost any environment. Our art prints on canvas are also perfect gifts for any occasion. We serve a number of galleries, museums, exhibitions and artists. To have your art prints done on canvas, send the art print to us or you can select a design from our art prints gallery. Our art print gallery contains thousands of art print categories. Superchrome art prints on canvas services add a unique texture to your photos and illustrations. 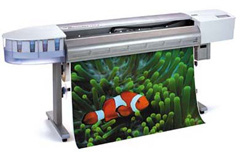 Our fine art printers can create high resolution images with advanced crisp and vibrant inks. We can create single color or multicolor art prints for you. Our art prints on canvasare durable and scratch resistant. For longevity, they are coated with a layer of weather resistant materials. We can reproduce the digital art images to any size on canvas. All our art prints are printed on 340gsm high grade canvas. Our art prints on canvas are characterized by more saturated color ranges and durability. The beautiful texture of canvas enhances the artwork and gives the appearance of original artwork. Our special fine texture of UV coating creates a matte luster that eliminates glare. At Superchrome, we also provide stretching and framing of art prints on canvases, as per your specification. With a group of professional graphic designers and technical experts, we can help you in designing your canvas. You can customize your art print designs through our online service. At Superchrome, we identify your needs and provide reliable service to develop your choice. Our prints are delivered bubble wrapped if stretched and sent by Royal Mail. Contact us for quotes. We assure a fast turn over time of just two to three days. Our high quality art prints canvas are very competitively priced. If you would like to know more about art prints canvas, any of the projects shown or if you want to discuss any project you have coming up then contact us 020 7237 9333 or fax 020 7237 9444 or email sales@superchrome.co.uk. Our experienced personnel would be able to guide you appropriately.